Energy balls are the perfect pick me up snack to have during anytime of the day. 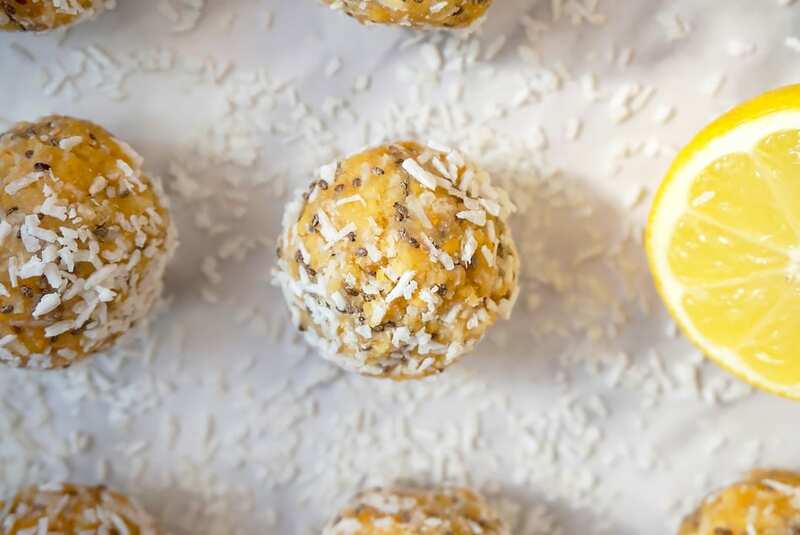 These lemon, chia and coconut energy balls are packed full of healthy and essential fats which means, like all Primal foods, they’ll leave us feeling fuller for longer. I personally think homemade energy balls are a great option for us Primal eaters to snack on – especially when we make them ourselves! That way we know the exact ingredients going into them and we can control our portion sizes. Sometimes, just sometimes, a refreshing snack that’s light and bursting full of citrus flavours can really hit the spot (especially that sweet spot). The lemon that’s called for in this recipe definitely takes the lime light whilst the coconut flavour is subtle, yet it still compliments the lemon deliciously well. For this recipe I’ve included a few of my favourite baking ingredients that make for a primal recipe. We’ve got coconuts, cashews, lemon, chia seeds and raw honey. That’s it! You don’t need extra sugar. You don’t need ingredients that you can’t pronounce and you definitely don’t need CARB’s that will just fuel you with a sugar high before leaving you hungry again after a mere 20 minutes. Nope. This recipe calls for wholesome, non-processed ingredients that contain nothing but health benefits for our bodies. 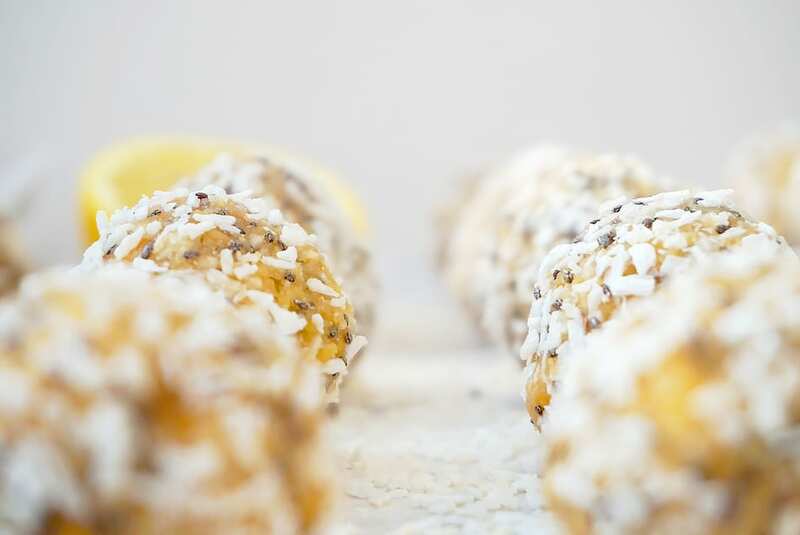 You may also find that the texture of these lemon, coconut and chia energy balls are somewhat different to your traditional energy balls. The reason being is because most energy balls are made with oats, CARB’s or dates to help them stick together. My energy balls however, are held together by the pulsed cashews, coconut flour (gluten free and CARB free), coconut and raw honey. Therefore you’ll find that the texture of these balls are a lot more smoother and less stickier, which if I’m honest, I much prefer! Like all of my recipes, these energy balls are incredibly easy to make. 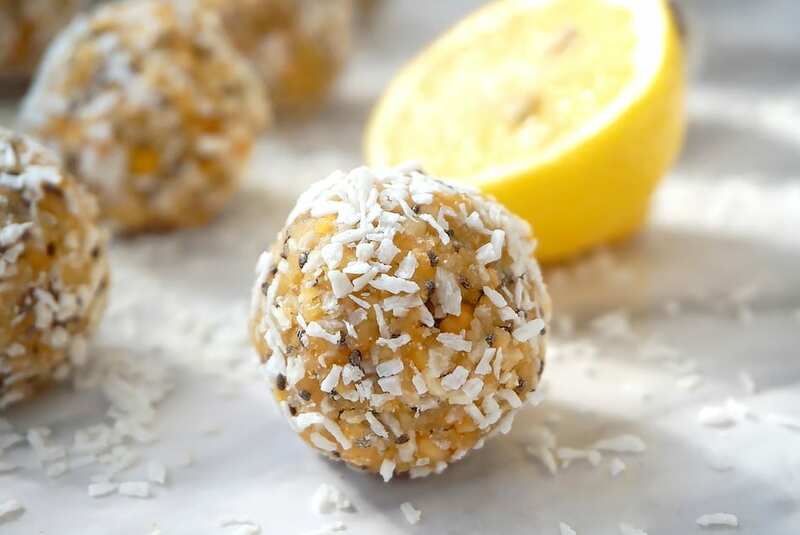 Just give me 5-10 minutes of your time (depends how quick you are at rolling) and you’ll have 20 energy balls ready for a week of Primal snacking. It doesn’t get much better than that, huh? Go on, give these a try and let me know what you think! 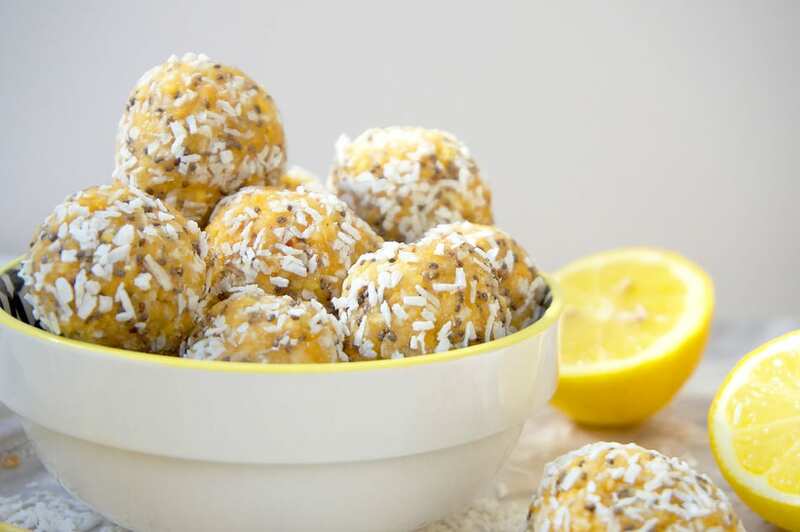 These delicious primal energy balls make for the perfect snack. They're high in essential and healthy fats and they contain no CARB's! Give them a go and prep them for you week of healthy eating. Pop the cashews in a food processor and blitz until fine. Add the rest of the ingredients (only 30g of desiccated coconut) to the food processor and again, blitz everything together until all ingredients form together. Roll your dough out onto a surface and then create 20 small balls (about an inch) by rolling the dough out between your hands and then over the remaining desiccated coconut to coat them with. Place your balls onto a tray once done and then pop them in the freezer for about 15 minutes to harden a little. After 15 minutes, remove them from the freezer and then pop them in an air tight container and keep them in the fridge ready for snacking!